Honeymoon South India: The southern part of India is very gracious, and also is a great destination for honeymooners. The enchanting beauty of South India and the mesmerizing Beach Resorts make them choose this part of India to start their new life. Why are they choosing South India? Probably it is because of the idyllic climate of Kerala, and the beautiful Backwater tours, or it could be the colonial architecture of Tamil Nadu, or the well developed facilities of Karnataka. Whatever it may be, many honeymooners choose South India for the best time of their life, and to make it a memorable time. 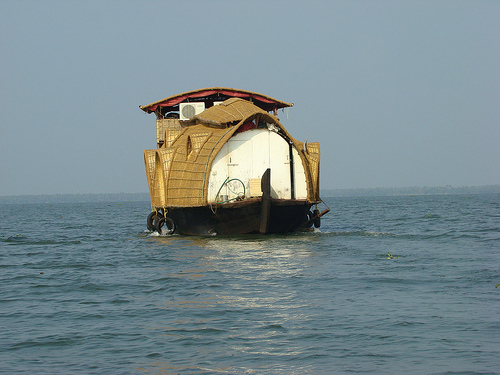 Have you ever dreamed of cruising through a house boat tour in the emerald backwaters of Kerala, and enjoying a Kerala cuisine with fresh fish fry? What better way is there to enjoy a honeymoon South India? Or, have you wished to have a photograph taken with the marvelous carvings in the ancient temples of Karnataka or Tamil Nadu? There are many fabulous and romantic honeymoon places in South India. Some of them are Munnar, Kovalam, Alleppey, Kumarakom, mesmerizing Idukki, Kodaikanal, Ooty, Coorg (Scotland of India), Coonoor, Devikulam, Arakku Valley, Yercadu,Pondicherry, Ananthagiri Hills, Kotegiri, Kudramuk, Nandi Hills, Ponmudi, Waynad, Thekkadi, Valparai, Vagamon, Kemmanagundi and Kanyakumari. If you have planned in advance for a proper honeymoon vacation you will be able to enjoy a wonderful time in South India. There are many Honeymoon Hotels in Kerala. Hotel Leela, Kovalam with all facilities and wonderful swimming pool and pool side restaurant overlooking the Arabian sea. 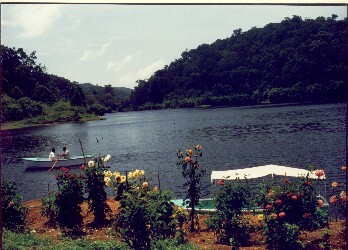 Tranquil Resort in Wayanad - Coffee and Vanilla plantation vastly spread in the lush green rainforest.